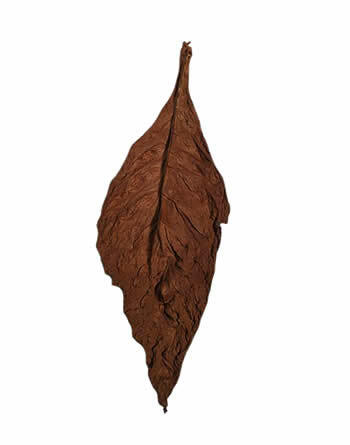 This particular fronto leaf is a very dark leaf that has a lower-strength while having a similar [yet much weaker] smoky aroma and smell that our fire cured tobacco leaves is famous for. 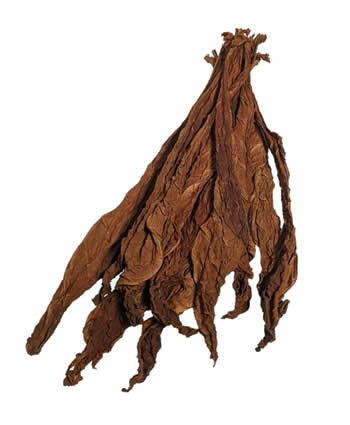 Although this fronto leaf has been regularly used to make chewing tobacco, snuff, snus, and in pipe blends… some of our more adventurous customers have also enjoyed this leaf in a cigarette or hookah blend. However it is also a good enough quality to use as a a roll-your-own Fronto leaf. 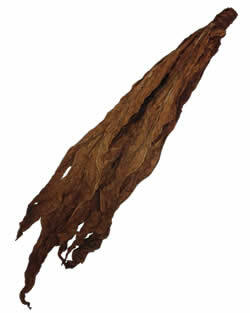 This fronto leaf is comparable to our Dark Air Cured Tobacco Leaf, despite it’s mild smoked smell and flavor. Our Light Fire Cured (P) Tobacco Leaf has a richness in color and sheen that is similar to some of our customer favorite dark air cured fronto leaf selections. 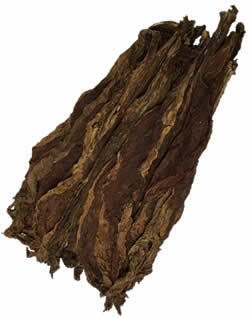 This grade of fronto consists of mostly medium to large leaves that have a nice thickness. While this is ‘grabba’ grade fronto leaf [not Cigar Wrapper grade] it is still sorted pretty nicely. There will be very minimal damage with this leaf. This Light Fire Cured leaf is medium to full body thickness, easy to handle leaves that have a rubbery nature to them. They have a medium dark brown/reddish color, similar to some of our other Dark Air Cured leaves. This leaf is more fresh and pliable due to its recent crop year. 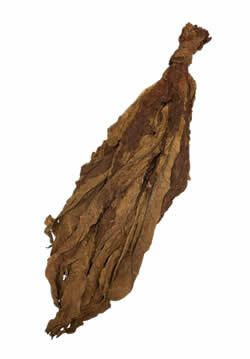 Light Fire Cured Fronto is comparable to the Dark Fire Cured Fronto Leaf, but much less potent. Large, Thick, and easy to handle. Also known as grabba leaf. 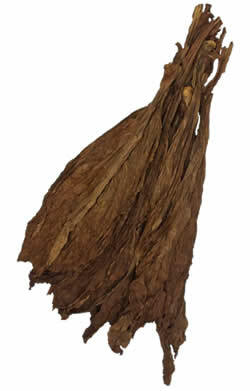 Light Fire Cured Fronto is ceremonial tobacco leaf in certain regions/cultures. These Light Fire Cured Tobacco Leaves are typically grown in TN, KY, VA and MD, USA. 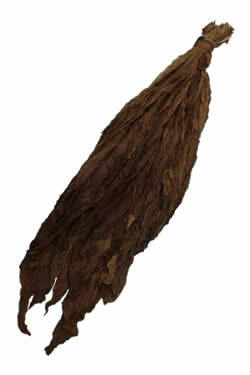 This fronto leaf is also known as “Virginia Fired Cured”, or “Virginia Tobacco”, even though it is even close to being anything like the “Virginia Flue Cured” leaf. 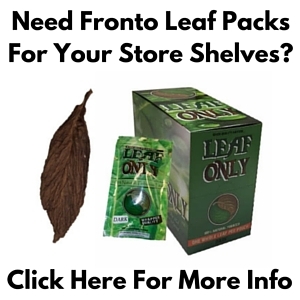 Interested in purchasing a quantity of Light Fire Cured Fronto Leaf (P) at the incredible prices listed below? Contact us to set up your order today!